My first instinct was to do refer to the quality of this movie as a roller-coaster, but that's not accurate. It's more of a bobsled ride. It's got some occasional, gentle slopes to keep you from feeling like you're plummeting into Hell, but the entire trip is downhill and you still end up lower than when you began. It starts okay with Channing Tatum's Marcus Aquila arriving in Britannia to command a garrison there. If you've seen the trailer, you know the plot. His father once commanded the same area, but on an excursion into the wild North, he and his men disappeared with Rome's standard, a golden statue of an eagle. Marcus doesn't come to Britannia to find the standard, but when he's injured in battle and relieved of duty, he decides to fill his time with a quest. He takes with him his slave Esca (Jamie Bell), who's from the northern lands where Marcus' father went missing and can act as a guide. As long as the story is about Marcus' personal quest, it does all right. Tatum makes Marcus likeable and the script leaves some doubt about whether or not his dad's death was noble and courageous or foolhardy and cowardly. Though most of the other Romans are too polite to speculate to his face, even Marcus wonders if his father may have deserted rather than fallen in battle. If the film had followed that path, it would've been a much better movie. The titular standard should have been a Maguffin for the real quest: solving the mystery of Marcus' father's disappearance. Instead, the movie does both, which is what makes it uneven. When it's focusing on Marcus and his relationship with his absent father, it's not half bad. There's still too much shaky-cam and fogged-over camera lenses and weird flashbacks to make it Good, but it would've been Okay. Unfortunately, the eagle standard is much more than an excuse to go hunting for answers about Dad. We're supposed to take it seriously as an end worth pursuing, so that the Dad plot is wrapped up before the Eagle plot and we're still asked to care. There's a scene early on in which Esca questions Marcus about the importance of the standard. Marcus tries to explain - something about "The eagle is not a piece of metal. 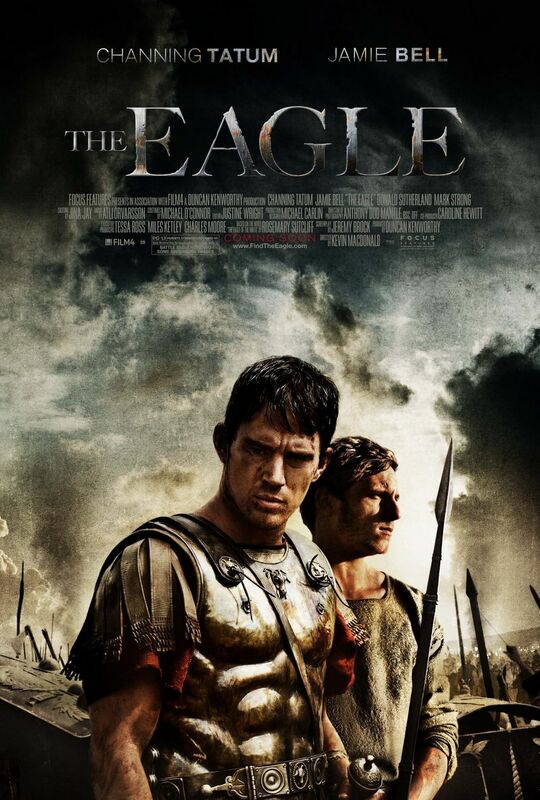 The eagle is Rome" - but fails to adequately express it and settles for, "You're not a Roman. You wouldn't understand." Well, guess what, makers of The Eagle? I'm not a Roman either. I'm your audience and I need to understand if you want me invested in your story. There's another scene towards the end of the film where the heroes are valiantly fighting against overwhelming numbers to defend the standard. (I hope that's not a spoiler that Marcus and Esca do in fact find the eagle at some point). As they battle, the camera switches to a high-angle view of the field with the standard in the foreground as the men fight below. I'm pretty sure it's meant to be inspiring, but it made me sad and a bit sick. It was like this hunk of metal was proudly watching over the meaningless violence and death it had inspired. I think you missed a real important part of the plot... There was a core aspect of these two men who both considered the other's culture barbaric becoming friends and learning to trust each other and see honor in each other. Marcus's last line when he delivers the Eagle to Rome drives that point home and makes that whole aspect of the plot worth while. And while we are on relationships, the fact that they totally left off any aspect of a love interest makes me a little giddy, movies like this seem to always want to take time to tangent into a love interest and there was no place for one here and they writers knew that. I did like their relationship. A lot, actually. And I thought about bringing it up, but I couldn't figure out how it serves the larger story, which still seems to be all about that dang statue. Like the Father plot, the Friendship plot wraps up relatively early and the movie doesn't end until the Statue plot is resolved. So I agree that there are actually three things happening in the movie, which is what makes it so messy. If it had been more about their friendship, I would've liked it a lot more. They just chose to make the wrong thing the Main Thing. In my opinion, they should have left the statue north of the Wall, returning home with deeper lessons learned. Totally agree about the lack of romance though. I'm pleasantly surprised that they didn't try to squeeze in Plot #4. And that was a nice last line. You got your comics in my literature! The Cownt in "Get Outta Town"